Friday Challenge - Sketch + Buttons & Bling! This month we have a fabulous sketch with a twist. The TWIST is to use BUTTONS AND BLING on your layout. I used bling under my title and the arrow on the right to call attention to my photo. My buttons are little, tiny ones on the corner of my kraft tag under the photos. I did a lot of misting, stenciling, painting, stamping, etc on my background. To see all the details, hop over to my blog. Soooo,, if you haven't ordered a whole bunch of the Lindy's Stamp Gang Magicals Sets- you should hop right over to the store and do that. Because these things are AWESOME. For this look, I traced a stencil, then mixed a little bit of water with the Magicals powder and painted right on the paper. A-maz-ing! (you have to sing that!) I also painted the flowers in the same manner. 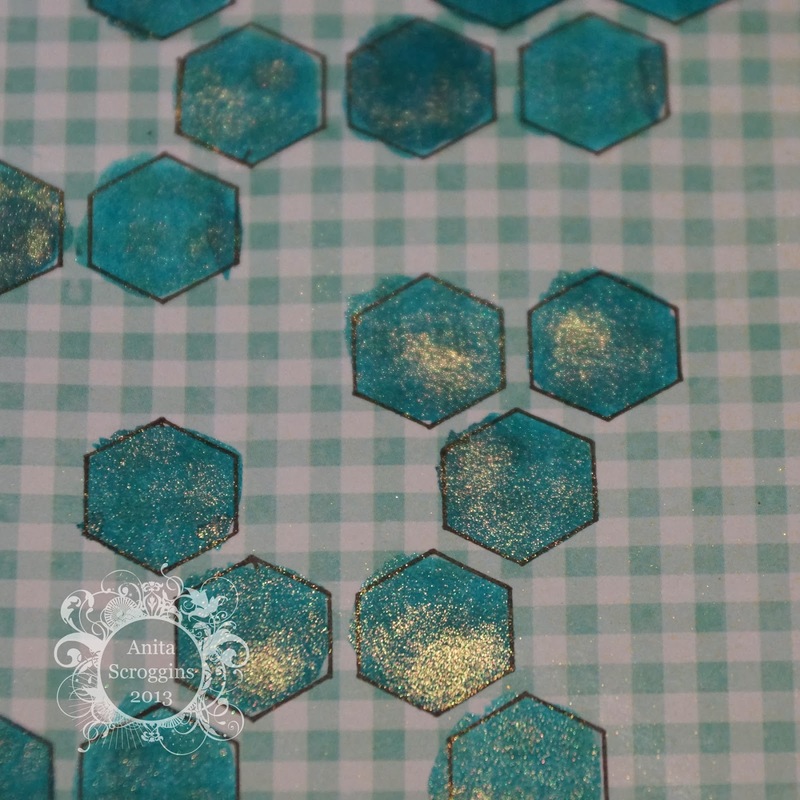 (I used Tim Holtz Distress Glitter and Maya road Bling Resin for my "bling"
And we have a fabulous sponsor lined up for you this challenge as well!!! to her online store FULL of cut files AND digi stamps for every occasion (And I mean EVERY occasion!)!!!! 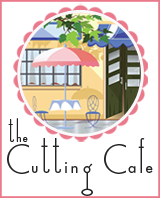 Stop by her store to check out projects, stamps, cut files, and more!!! WOnderful sketch and DT inspiration!! Can't wait to see what everyone does! Gorgeous layouts!!! This was a fun sketch!! Loving the sketch and what everyone created!!!! I love everyone's version of the sketch and seeing how they added their twist! great sketch and the hexagons really stirred my mojo! Really fun challenge & wonderful inspiration ladies! What an awesome challenge. Love that sketch Lisa. WTG!!!! !